One of my favourite and most used beauty items has to be mascara, as it was the first beauty product I ever tried as a young teen and is a product that I never leave the house without wearing (unless i'm having a no makeup day). Today I wanted to share my thoughts on my current favourite mascara of which you have to try, especially if you're on the hunt for a new one! Continue reading to see which mascara i've been loving, and why you need to try it! I'm sure you'll of seen a lot of bloggers raving about this mascara recently and rightly so because it deserves all of the good rep that it is getting. The Marc Jacobs Velvet Noir Mascara* (£22) was designed from his earliest beauty memory from his Mum and is described as a lash maximising mascara with a ultra concentrated black pigment and smudge free formula to create length and volume in less than three strokes. When it comes to mascara I always look for one that coats my lashes in just a few swipes and gives a decent amount of length and volume, so this mascara had some very bold statements to live up to and boy did it not let me down. In just the first use I was blown away with how well this coats my lashes, as it instantly gave my lashes some amazing length and the curl on my lashes was almost as good as my every trusty eyelash curlers, which goes to show just how good this mascara is. My favourite part of this mascara is the wand, which is probably the most important part of a mascara as it really makes or breaks a mascara and how it performs. The wand itself is a bristle style brush which i'm starting to prefer in comparison to my ever loved plastic wand style mascaras, and it has a curved shape to it which is designed to reach all of your lashes, especially the ones in the centre that are often hard to reach. All in all this mascara is truly amazing, and the packaging is so luxurious that it instantly makes you feel that little bit extra special! 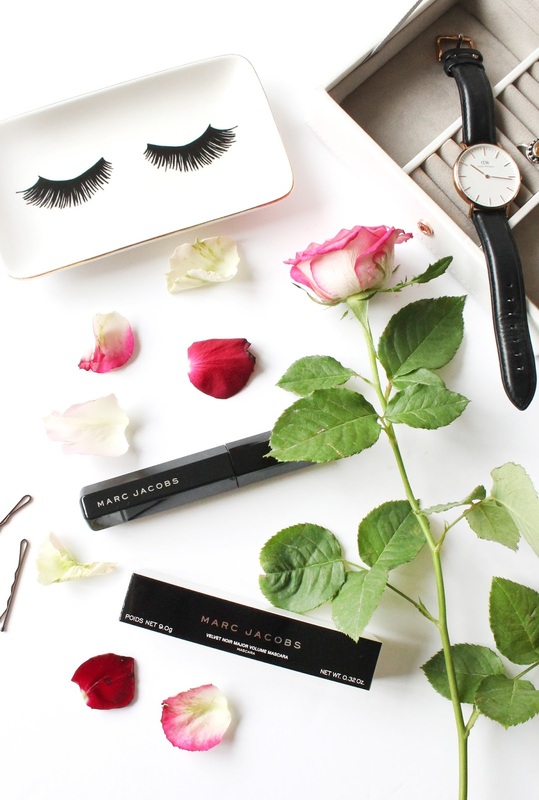 Have you tried any bits from Marc Jacobs beauty?